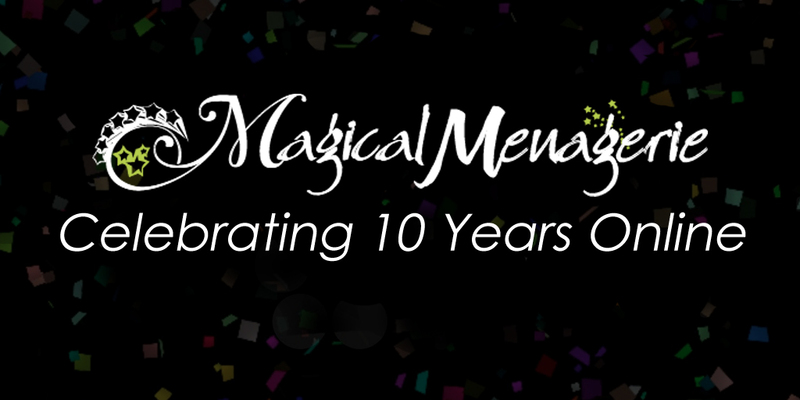 We can’t believe it, but Magical-Menagerie launched TEN YEARS AGO today. Back then we were called Draco Dormiens Nunquam Titilandus, DDNT for short, good thing we changed the name a year later, what a mouthful! Take a trip down memory lane and look at our first layout, HAH! P.S. Did you know you can still switch layouts? The default is Deathly Hallows 1 but we still have Deathly Hallows 2, Half-Blood Prince and Order of the Phoenix working! Although there may be a few bugs on the last 2! When we say we, it’s actually just me, Megan, the founder/owner/only staff member. I started this site in my senior year of high school after taking an HTML class and I’m so glad to see how it has grown over the years. Since then I have started the best *wink wink* Matthew Lewis fan site and made a career out of being online. Since starting the website, we have been to multiple Potter premieres, the Grand Opening of the Warner Bros. Studio Tour and attended many events at the Wizarding World of Harry Potter. I’ve also had to “force” a few friends to go to events for the site when I couldn’t take the time off to fly, they were so upset. 😉 News may have wavered over the years but, now that we have Fantastic Beasts and Cursed Child, I have a feeling it will go back to the good old days of multiple news stories every day! I want to thank all of you for your support over these 10 years, here’s to 10 more! Also a big thank you to Jenny who has made almost all of our site layouts over the years! Thanks to my very talented friend Jenny, we have a brand new layout to celebrate the release of Harry Potter and the Deathly Hallows: Part II! What do you think?! You can still access the old theme by finding “Theme” in the left sidebar and clicking “DH1”, to get back to this layout from that one you have to click “DH2” on the right sidebar. I will also have some fun Potter-related surprises for you the week I come back, that’s all I can say right now though, but its pretty exciting stuff! Finally, I WILL have access to the internet so if any big news breaks I will still be posting (with my trusty iPad), so I won’t be totally gone. See you all in about a week! Hey everyone, just wishing you a very Happy Christmas and I hope you are having a good day with your family! If you don’t celebrate, just have a good day. I will have a review of my new case from Zazzle in a few days probably. Magical-Menagerie 4th in the ’50 Best Blogs for the Ultimate Potter Head’ List! Magical-Menagerie has come in at number 4 on a list of the 50 Best Blogs for the Ultimate Potter Head under the Top Picks category! The top 3 on the list are The Leaky Cauldron, Mugglenet and Harry Potters Page. 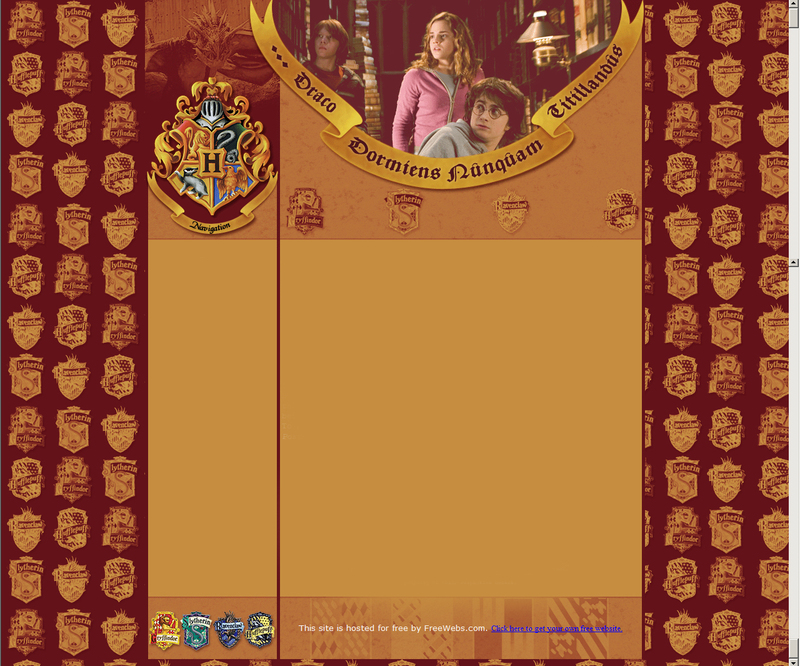 Other notable sites on the list are SnitchSeeker, HP4u, HPANA and many more! They also include some sites for the actors such as FeltBeats, DR.co.uk, Rupert-Grint.net, etc! Congrats everyone! These sites offer not only great blogs but a ton of other resources that will keep even the most demanding Potter fan happy. 4. Magical Menagerie: Try out this large site to find a great assortment of news on Harry Potter, as well as resources to help you bone up on your knowledge of wizardly things. It’s been a long time since we’ve had a new layout on the site so I figured you were all getting bored. I was going to make a new layout but then my awesome friend Jenny decided she would make the BEST LAYOUT EVER for me! This is the Deathly Hallows Edition of the site, and it is totally perfect!!! And it’s just in time for the release of Harry Potter and the Deathly Hallows: Part I. If you can’t see it click here to activate it!